With these cold, blustery days comes dry hands, cold feet and the worst of all – dry hair. Even though it feels like there’s been a ton of moisture lately (ahem, the snowmageddon that we just experienced these past two days), the air is actually dryer and colder than you think and can be damaging your hair without you even knowing it! Whether you feel it in the ends of your hair, or if it’s the static that gets you, there are definitely remedies that can help with hair protection and damage prevention, and that will make your hair days much more bearable! To try to help you out, we have compiled some of our favourite moisturizing hair products for the winter months to keep your locks feeling fresh, luscious and full of moisture! Check out our list of our top 6 favourite products for winter hair remedy, all of which we carry right here at Gravity Salon Professionals! As you will see from our favourite picks, hair health starts from step 1 – cleansing! It’s important to make sure that your hair has the basic foundation that it needs to flourish and stay hydrated in the winter months by using salon-quality, moisture-enhancing shampoos and conditioners, and then matching this simple washing routine with further protectants such as leave-in conditioners and heat protectant styling products! Goldwell’s Rich Repair Shampoo and Conditioner is a luxurious combo that repairs hair from the inside out and helps to restore shine into dull, dehydrated winter locks! We often recommend this product to clients who are experiencing dry and damaged hair and whose hair can handle a richer, creamier formula than some other Goldwell shampoo and conditioner products! This combo is affordable but also premium salon-quality – proving that you don’t need to spend the big bucks to have healthy, shiny hair! We love Rich Repair and carry it in both small and large sizes, and is a staple product that we always make sure we keep stocked – especially in the winter months for people who need it most for help with hair protection! The KMS Moist Repair Shampoo and Conditioner is an amazing, high quality yet affordable cleansing set to restore your hair’s moisture with every wash! It’s creamy, rich texture feels luxurious (and it smells amazing too) and helps to actually even REPAIR hair damage that has been caused by lack of moisture! We normally recommend these products to people with normal to thick hair, but could be used for other hair types as well depending on the level of repair you need! To go along with your Moist Repair Shampoo and Conditioner, is the Moist Repair Leave-In Conditioner Spray, which also helps to restore moisture and combat static! This leave-in conditioner is a lightweight formula that instantly detangles and moisturizes and is a great alternative to creamier conditioners that may leave some hair feeling weighted and greasy! This is one of our favourite products that we recommend to so many of our clients in the winter because it truly is magic! If you’re looking for quality and affordability – this will be your go-to hair protection product! One of the most damaging things for your hair, especially in the winter months, is artificial heat – for example, blow-drying, straightening or curling! Besides your regular moisturizing shampoo and conditioner and any other leave-in conditioners that you may use, you may want to consider a heat-protectant styling aid for your precious locks before you hit them with the tools! Our favourite here at the salon (and everybody else’s – we can barely keep it on the shelf) is KMS’s Thermashape Styling Crème, a lightweight creamy styling product that protects your hair against heat and leaves it feeling luxurious! All you need is a dime-sized amount to run through wet hair before you blow-dry and it works wonders! It’s smooth and silky without the heavy greasy feeling of other leave-in creams and it smells AMAZING! We recommend this product to so many clients time and time again, we just can’t get enough of it! As you can tell – we really love KMS products here at the salon, and we especially adore the KMS Curl Up line! This line was created specifically for curly hair so it automatically contains more moisture and restorative products to keep curls tight, bouncy and moisturized. It’s designed to enhance curl retention and reduce frizz – two things that are major keys when it comes to curly hair! Curl Up has a number of different products from shampoo, to styling creams, leave-in conditioners and styling foams, all of which help with hair protection as well as styling! If you have curly hair and you struggle with it in the winter, Curl Up will always be a great option – just make sure to consult with a stylist to see which product is right for you! Though we are a Goldwell-exclusive salon, we do carry some select Pureology products, and our fan favourite is the Hydrate shampoo and conditioner duo. Though slightly more expensive than the KMS products, Hydrate contains a number of premium products to help moisturize and repair damaged hair – and it smells fantastic! Hydrate is one of Pureology’s most popular lines and we always make sure that we have it in stock at the salon, especially in the winter when people need it most! With a new year comes lots of change – whether that change is good or bad, big or small or even as simple as trying something new that you’ve wanted to do for a while, at the end of the day it will be tough, but it will be amazing for your self-growth! Now, let’s say you want a change but you don’t know where to start, we suggest that you shake things up with a new hairstyle! A new colour, a new cut or even just a new styling technique can put a spring in your step that you forgot you had, and give you the confidence that you need to conquer the world! The decision doesn’t just stop at WHAT you want to do with your hair though, it also includes WHERE to get your hair done and trust us, that can be the hardest part. That’s why we want to give you a list of things that you may not have otherwise known about Gravity Salon Professionals, so that you can know a little bit more about us while making your decision! 1. We have been voted Barrie’s Best Salon 2 years in a row! We keep saying that we are Barrie’s Best Salon – and we actually are! The last two years we have been voted by Barrie Advance Reader’s Choice as Barrie’s Favourite Salon, and it has been such an honour! We couldn’t be more grateful for our amazing staff, clients and community for this recognition, and it has pushed us to keep striving for excellence so that we can maintain this title for a third year in a row! 2. We have multiple award-winning stylists at our hair salon. Every salon loves to boast about their hairstylists, but we can proudly say that we are NOT over-exaggerating when we tell you that over half of our stylists have won awards in a number of different types of contests and competitions. From smaller-scale local competitions to large national ones such as the Contessas and Colorzoom, we have always had an amazing presence there from Gravity Salon Professionals! 3. Most of our stylists are also educators, as well! You’ve probably seen our social media posts talking about our stylists also being educators, but what does being an ‘educator’ really mean? We’re here to tell you! Our stylists are educators for both Goldwell, the colour and product line that we use almost exclusively in the salon, and also for the product-line KMS which makes all sorts of shampoos, conditioners and styling products. Our Goldwell educators teach a range of different classes including cutting classes and tons of colouring classes both at the Goldwell Academy in Toronto and also around the world! Our KMS educators teach courses on how to stay trendy with all of the amazing styling products that KMS has to offer, and how to use those products effectively! It’s pretty cool that we have all of these amazing resources right at our finger tips because we benefit from it too – whether it’s just a quick tip from one stylist to another while colouring, or having them teach a full-blown colour class right in our own salon – we are thankful every day for our brilliant stylists! 4. We started out as just a little two-man shop! Gravity Salon has been around for 8 years now (we just celebrated our 8-year anniversary this past October) and even though it may seem like it’s hustling and bustling in here now with 6 busy stylists and 2 receptionists, it wasn’t always like this! When Gravity first opened its doors at the Big Bay Point location in 2010, it was just our salon owner Ivo, and Jamie Dennis who were running the show together! After creating and running a successful business though, more stylists came over to join the team and now we have our Gravity family at 206 Bradford Street that we can’t picture the salon without! 5. We LOVE being involved in the community! One of our favourite things about the salon is the amazing community that it’s in – we LOVE Barrie and we love Barrie’s downtown, there’s so many things to do and see and the lakeshore is just a stone’s-throw away! That’s why we like to take any opportunity that we can to give back to that community – whether it’s donating our services to a good cause, raising money for charitable associations or even volunteering our time to different charitable events! This past year we helped out with both the very successful Fill a Purse for a Sister Campaign, as well as Barrie and District’s Christmas Cheer – both raising money to donate and volunteering our time two different mornings to help pack toys and food for the families who were receiving this assistance! We absolutely love doing stuff like this so if you’re reading this and can think of other ways that we can help, please don’t hesitate to reach out and let us know! 6. We are a Goldwell-exclusive salon! Many salons use a range of different products for colouring and styling, but we have found great success in sticking with our old faithfuls – Goldwell and KMS! Goldwell and KMS are both premium product lines that our stylists are very comfortable with using and they will deliver high-quality results every time! Goldwell produces a ton of innovative colouring and styling products, such as Goldwell’s newest line, Pure Pigments, that we love to use on our clients to get the best possible results! We may be biased, but we think that Goldwell is the best colour line out there and it has proven itself to us time and time again! 7. We love to keep current with the latest hair trends! It must seem like every time that you are on Instagram or Facebook, there are new hair trends and fashions that are impossible to keep up with – whether it’s the new ‘in’ colour or cut, or even just a trendy way to style your hair – it’s almost impossible to keep up with them! But that’s why you have us – your trusted sources of hair wisdom and inspiration to help you achieve your dream hair in a way that is best-suited for you! 8. We offer premium services! Here at Gravity our biggest passion is colour – we love the creative aspect of it and the way that a hair makeover can make somebody look and feel like a whole new person! You may not be aware that we offer many other services as well, some of which you may not be able to find other places! One of our big ones is the Kerasilk Smoothing Treatment – a healthy straightening treatment to smooth out frizz and curl for those untameable locks! 9. We are located in a cozy century home in Downtown Barrie! One of our favourite things about where we work is the location, location, location! We are located in a warm and cozy century home on Bradford Street right near the lake! We like to think that this sets us apart from the rest because it provides for a much more intimate and personable experience that makes clients feel equally as comfortable whether it’s their first time in the salon or their 10th time in the salon. We always get such positive feedback on our salon atmosphere and we have always taken great pride in this! 10. We are always welcoming new clients with open arms! One of the most common questions that we receive is whether or not we are accepting new clients, and the answer is always YES! Many of our stylists have even expanded their availability for the new year to be able to take on even more clients! 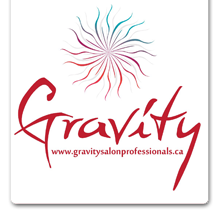 Don’t hesitate to give us a call here at the salon at 705-252-3992 to book your consultation or appointment today OR book online at https://gravitysalonprofessionals.ca! We can’t wait to meet you!